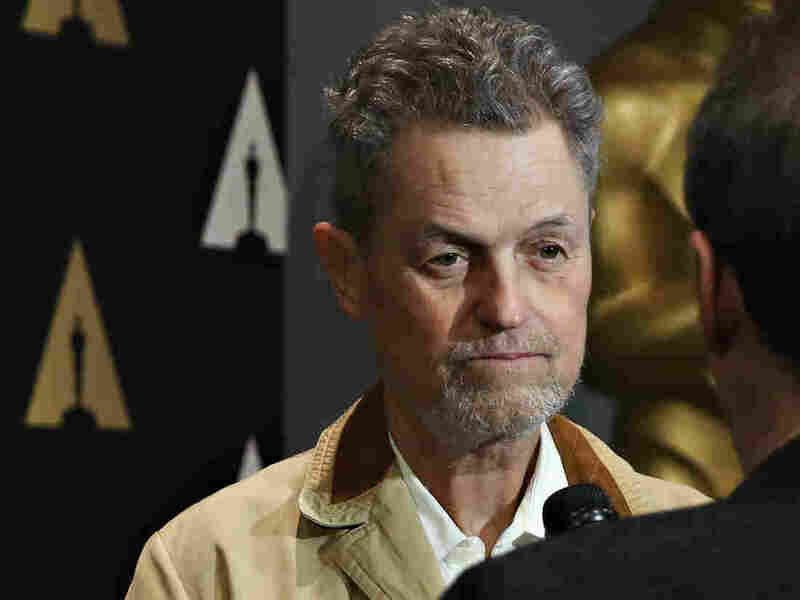 Jonathan Demme, Director Of 'Silence Of The Lambs,' Dies At 73 : The Two-Way During more than four decades behind the camera, the Oscar-winning filmmaker forged a wide-ranging career — from documentaries to horror. He died Wednesday from complications of esophageal cancer. Jonathan Demme speaks with an interviewer at a 25th anniversary showing of The Silence of the Lambs at the Museum of Modern Art in New York City last year. For more than four decades, Jonathan Demme threaded a diverse path through the film industry — beginning as a publicist, filming everything from documentaries to comedic sendups, and finally earning the status of Oscar-winning elder statesman. He was 73. The director died Wednesday in Manhattan from complications of esophageal cancer. His publicist, 42 West, confirmed Demme's death to NPR. Demme made films such as The Silence of the Lambs and Stop Making Sense that have helped define their respective genres. Despite his lengthy list of works — which also includes Philadelphia — Demme never set out to become a director. Far from it, in fact: He wanted to be a veterinarian. But, as he told NPR in 2007, that goal ran into trouble when he flunked out of college chemistry pretty much immediately. After a semester of writing movie reviews for his campus newspaper, he left college for a publicity job with B-movie master Roger Corman. "I met Roger Corman, who said, 'Well, you can write press releases? I'm starting a new company. I need movies. Can you write a screenplay?' " Demme recalled in the interview. "I was about 25 years old at the time and I said, I would love to try that. I had had no aspirations to be a filmmaker or a writer. Until then, I was thrilled to be working in the movie business as a publicist. I would have been perfectly happy to do that forever." But Corman loved Demme's screenplays and eventually recommended that he get behind the camera, too. As a director getting his start in the early 1970s, Demme infused his first films with Corman's over-the-top sensibilities, but as he set out on his own later in the decade, he began to find a more distinctive eye — hewing closer to intimate character study. In the 1980s, Demme dabbled in a variety of forms, making a mark in documentary filmmaking — particularly with Stop Making Sense, a seminal 1984 concert film for the Talking Heads — and in comedy with films such as Something Wild and the gangster spoof Married to the Mob. "I've always followed my enthusiasm," Demme said of the variety in his career. "Whether the pictures have turned out good or not is one thing — but I've always had a lot of enthusiasm for the project at hand." It was a pair of prestige dramas that brought Demme his greatest recognition — starting with The Silence of the Lambs, a horror film that swept the 1992 Academy Awards and earned Demme the Oscars for best director and best picture. The movie was also a hit at the box office, which, as Demme told Rolling Stone in 1994, came as a significant relief. "At certain points, I was afraid there was something — a missing chink of skill — that was going to prevent me from having a movie that was financially successful. That frightened me," Demme said at the time. "So when Silence of the Lambs became an unqualified success, I took a huge sigh of relief. I mean, I can't tell you how wonderful that felt." He followed up that film's success with Philadelphia, which starred Tom Hanks as a gay lawyer suffering from AIDS and fighting for his legal rights. The drama also earned a raft of Academy Award nominations, including a best actor win for Hanks. Still, as Demme told NPR in 2007, there was one form that continued to draw him back to the camera: documentaries. He said it was the form's endless capacity to surprise that best characterized what he loved about film in general. "The excitement of wading into 'reality' and just finding out what happens — and then the challenge of selecting those things that happened and shaping them in the editing into a narrative that will have appeal and be engaging — is a great, great thrill."